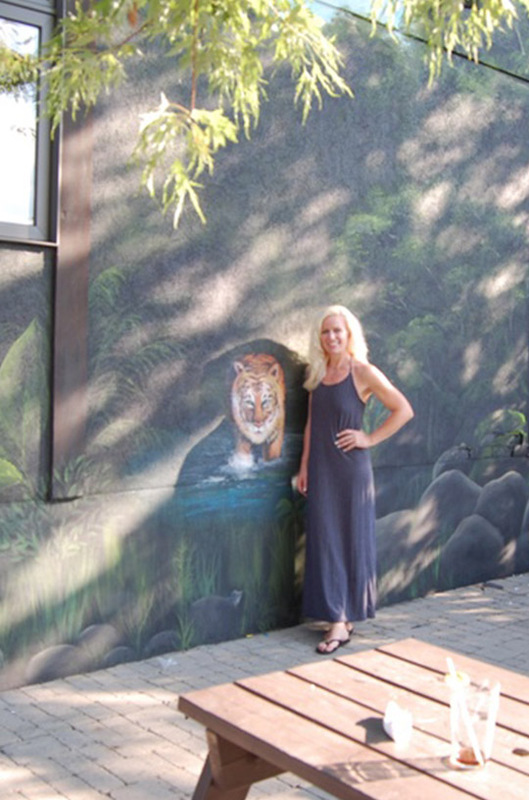 Kimberly Rideout has created over 500 murals from Toronto to Calgary and now internationally in Florida and NY. Her works include everything from painted furniture and specialized decorative/faux finishes, to Jungles, Princess Castles, Nascars and Tropical Vistas, to Classical Architecture and Stunning Ceilings, . Her Trompe L’oeil (which literally translates to “trick or fool the eye”) murals create illusions of grandeur, transforming ordinary spaces into magical visions. Kimberly has worked both commercially and residentially, doing both interior and exterior murals, including some extremely high profile clients. The business evolved from a single mural created for her first niece over 18 years ago and has blossomed into a thriving opportunity to transform the ordinary into the extrordinary and create endless magical spaces. Kimberly’s abilities have provided her with the countless opportunities to donate her talent to worthy and deserving charities and causes. The list of those she has donated her talents to include; Womens shelters, Churches, Hospitals, The Canadian Breast Cancer Foundation, YMCA, The Steve Thomas Foundation, Markham Stouffville Hospital, local community charities, Brain Child Foundation (for families with children suffering from Terminal Brain Cancer), and her favorite, the Make-a-Wish Foundation. Kimberly has had artistic training at McMaster University in Hamilton, ON and Sheridan College in Oakville, ON as well as Vincennes University in Southern Indiana. Kimberly has been noted in several magazines and newspapers across Canada, as well as being awarded the Cambridge Women of Distinctipon Award. Despite an extensive background in Art and Art History, Kimberly’s most valuable experience has come from the over 500 walls that she has had the opportunity to tranform. My three angels have been my biggest source of inspiration,they are the force that keeps me forging on this creative journey. 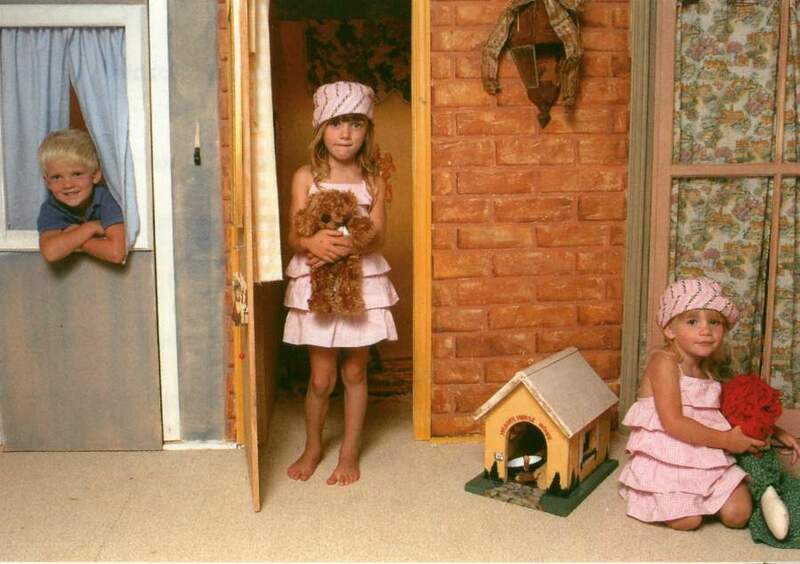 Pictured here in the playroom that I built and painted for them which consisted of Jake’s hardware store, Victoria’s tearoom, Tasha’s toystore, an old world street scene covering the toy storage shelves, and the “Grande Theatre” which housed miniature theatre seating and a TV/VCR for watching their favorite movies! This picture was featured, along with one of Jacob and I on his custom built boat bed, in West of the City Magazine.